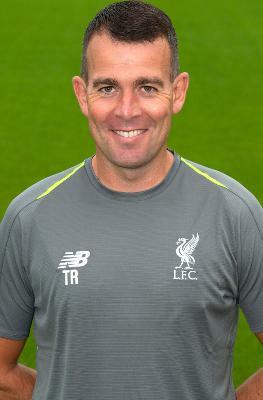 After starting his coaching from an early age Tony has been involved with Liverpool Football Club for a number of years. At the age of 20 whilst successfully coaching local teams Tony began his journey with LFC through a recruitment role, which would enable him to identify talented youngsters from around the city. Managing and coaching in the club's development centres was his next step. He was then brought into the academy to work across various age groups and over recent seasons Tony has coached the youngsters at the Academy starting them off on what he believes is a fantastic journey. He now leads the U6-U9 foundation phase at the Academy. Being a lifelong Liverpool supporter he describes his role as being a part of a great team developing the boys at the academy as his dream job.